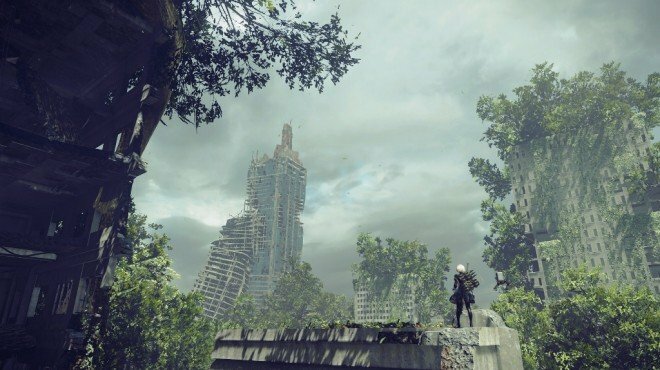 Strange Doll is one of the information archives in Nier: Automata. A strange doll that was nailed to a tree. Ragged and worn, it's unclear what this item was used for. Forest Zone - Locked Chest: From the Forest Castle: Front access point, cross both bridges to enter the main part of the Forest Zone. Climb the stairs on the left of the path. There is a large tree to the right at the top of the stairs, right before the river. The chest is hidden between the two large roots closest to the river. can someone get a picture or something of where this is at? these descriptions on where to find them aren&apos;t very helpful at all.